One of the most dangerous things in a fallen world is high expectations. I came into college expecting this: I’d be great friends for life with my freshman year roommate. I’d go on to win Academy Awards for a Christian film. People would think I’m awesome. I’d be the most spiritual person in my life. I’d be able to handle everything. I left college knowing this: I haven’t talked to my freshman year roommate since graduation. Don’t think I’m going to win any Oscars. Some people think I’m a jerk. I’m most definitely not the most spiritual person in my life. Definitely not in the top 500. I can barely handle anything. Some people handle unmet expectations fairly well. They know that their high expectations probably won’t get met, so when they don’t they just shrug it off and move on. But others (coughmecough) don’t. We get our minds set that something is going to be a certain way and then, BOOM, death when those things don’t happen. 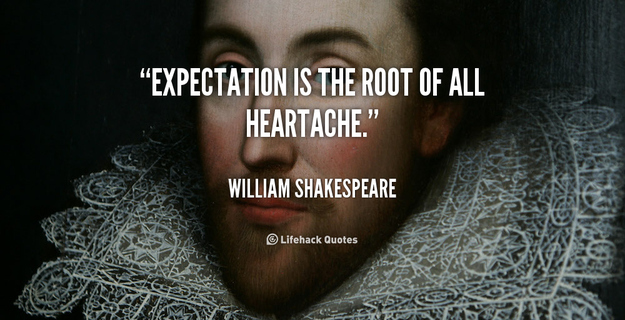 Where do high expectations come from? Why do we get them? For some, it’s a result of a childhood where everything was easy and went right, so they expect nothing less. For others, it might be a defense mechanism against the deep-seeded fears they hold. For others, they hold themselves to such a high standard that they can’t help but do the same to others. It’s almost an automatic thing. There might be other reasons too. But so often, high expectations are unfair and impossible to reach. Most notoriously in my high expectations of others. I expect people to be perfect and be exactly what I want them to be. So when people inevitably don’t measure up, I get frustrated and sometimes even bitter. That frustration and bitterness is the reason why expectations can be so poisonous. 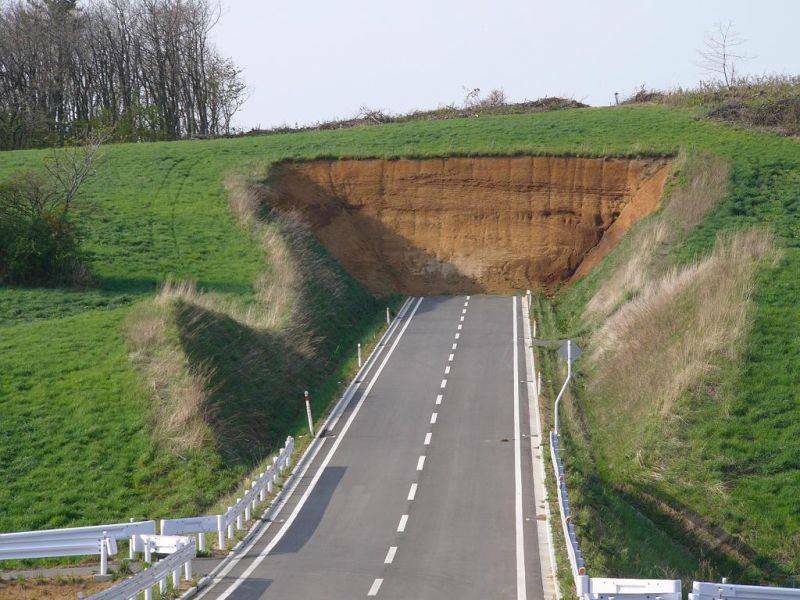 It’s like this picture on the right: a road that leads right into a wall of dirt. You expect there to be more road, but then all you get is a wall of dirt. In some ways, our unfairly high expectations might not seem unreasonable, but that’s not how things were designed. This road was clearly designed to go into a wall of dirt, but if you were driving and didn’t know that, you probably wouldn’t expect a dirt wall. It’s not a bad thing to have some expectations. We expect our pastors to lead us to Jesus. We expect our parents to care for us. We expect our co-workers to work with us to get the project we’re working on completed in time. Those expectations are not bad. But when we take those expectations to the nth degree, where there is no limit to them, that’s dangerous. I’ve been asking myself over the last few days: what is the solution to having abnormally high expectations of people? How do I fix this? Look no further than Jesus. The Gospel kills the need for high expectations. Grace says we don’t have to be a certain way or do certain things to be accepted by God. Does this mean we are not expected to be living in obedience in response to grace? By no means! We are given instructions to follow so others know that we are Christians and so that we can present ourselves to God as workmen approved who have no need to be ashamed (2 Timothy 2:15). But we do not need to be afraid that we’re not living up to some high expectations God has of us. He knows our frame, He remembers we are dust! In this way, we must put on the mind of Christ and, as Philippians 2:3 says, “do nothing from selfish ambition or conceit, but in humility count others more significant than yourselves.” In humility, not in expectation, in a recognition of two things. First, people are sinful and will constantly let you down. Kinda bleak, I know, but it’s the truth. Second, we will likely never live up to the expectations that we have for others if they’re that high. So we give grace. We seek to have the mind of Christ and love others regardless of their shortcomings, flaws and failures. He loves us in spite of our weaknesses. It’s my belief that Jesus doesn’t expect as much of us as we think He does. What does He desire? Mercy, not sacrifice. Consider loving others more significant than them fulfilling your high expectations. Loving others is more about them, while having unfairly high expectations is more about you getting what you want than actually caring for them. For those of you, like me, who are currently struggling with unfairly high expectations of others, I’m praying for you. Know the grace of God and the grace of the Gospel. Be changed by it, then let it change how you view others. Let it change your mind. It’s got to be a heart change, then a mind change. It might be hard, but don’t quit!